Sirena is designed to keep the air clean after it cleans your home. Traditional vacuum cleaner generates enormous amount of heat inside. It heats up the air passing through and the dust inside the unit, providing a perfect situation for bacteria to multiply rapidly. The smell of operating the unit indicates high concentration of bacteria and allergens is being vented out into the air that you breath. 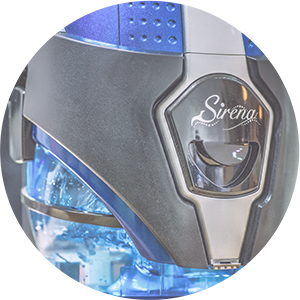 S irena water vacuum cleaner vents out only fresh clean air because only air itself can escape water through bubbles and water is a natural coolant which eliminating the warm bed for bacteria to multiply rapidly inside the unit. When designing the Sirena, engineers had a vision of it to provide long time of fresh and clean environment in your home. Sirena also is a low power consumption water base air freshener. This entry was posted in Purity. Bookmark the permalink.